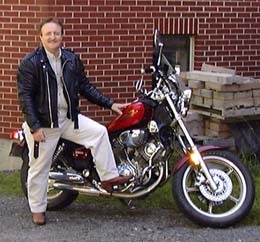 Professor, poet, novelist, and motorcycle enthusiast, Stewart Donovan has been a prolific source of Atlantic Canadian literature during his adult life. Donovan was born in Cape Breton, Nova Scotia, and lived there throughout his childhood. His family’s Irish roots heavily influenced his choice of study, and he eventually pursued a Ph.D. in Anglo-Irish Literature and Drama at the University College Dublin. Ireland is one of Donovan’s greatest inspirations for academic pursuits, journal articles, and notably, poetry. His first book of published poems, Cape Breton Quarry (Wreck Cove, 1990), is a collection about the childhood wonder of growing up in the Maritimes and the socio-political and economic history of the region. Donovan’s contribution to poetry has not only been through his writing. In 1994 he founded the Nashwaak Review, presently serving as Editor. Donovan grew the literary Magazine to become a recognized publication for original Canadian poetry, essays, and reviews. Many of Donovan’s articles on poetry and Irish writing have been published in regional journals such as The Antigonish Review, and in national journals such as The Journal of Canadian Poetry. Stewart Donovan lives in Fredericton, New Brunswick, where he teaches at St. Thomas University in both the Irish Studies Department, which he helped develop, and the English Department. Catalina? There must still be legions or at least a cohort? hungry, traumatized, joyful, sullen and silent. Published in The Molly Poems and Highland Elegies. Breton Books, 2005. Critical Analysis: Contrasting Relationships in Stewart Donovan's "Child Care"
Stewart Donovan’s poem “Child Care” piles images on top of one another in order to contrast the innocence of a 1950s childhood with dark shadows in the history of Canadian blue-collar lives. The poem presents prominent, popular images to provoke, for example, fathers’ haunted by World War 2, thus engaging readers in a personal poem. The third-person narrator begins the poem by posing a rhetorical question: “How many children were unbuckled in the backseat to be/baby-sat between two doors of a fifty six Pontiac / Catalina?,” thereby setting up a resentful, broken relationship between children and their neglectful fathers (1-2). With the first person statement “while our veteran/fathers downed quarts of Keiths and Molsons,” Donovan reveals that the lonely town and poor parenting was his reality (7-8). The North American relationship echoes the partnership developed through the war; yet, it is also a metaphor for the bond that should be present for father and son, but is clearly not. Although the cultural bonds were able to bring success to something as devastating as war, the simple relationship between parent and child is complicated by memories and a reality of hurt and disinterest. Beneath the recognizable time and cultural symbols is a tragic statement. Later lines such as “dads drank to forget, remember, or simply because they / could” give evidence of the broken relationship of father and son (23). The emotional after-effects of war lead directly to neglected children, who virtually felt “orphaned” (20). Thus, later lines change from being light and humorous, to saddening: children were left in cars, waiting for their fathers to drink away their memories. Donovan never uses a judgmental or correcting tone in his poem; instead, the author’s understanding rhetoric simply states his experience. “Child Care” shows the destructive stoicism of soldiers refusing to talk about the past: “fathers drowned quarts of Keiths and Molsons,/threw darts for game ending doubles, roared stories and lies/(never about the war)” (8-10). The fathers’ silence took was not a healthy way of healing for them nor for raising their children, who were left “hungry, traumatized, joyful, sullen and silent” to find the happiness they were never given (29-31). Donovan, Stewart L.. The Molly poems & Highland elegies. Wreck Cove: Breton Books, 2005. 51. Print. Donovan, Stewart . "Breakfast with Borges." Antigonish Review 149 (1983): 127. Print. ---. Cape Breton Quarry. Wreck Cove: Breton Books, 1990. Print. ---. "The Dog Eared Texts: Selected Essays and Reviews of R.J. MacSween," edited and introduced. The Antigonish Review 87-88 (Fall 1991-Winter 1992) pp. 129-228. Print. ---. ed. The Essential MacSween: The Poetry of R.J. MacSween. Essential Cape Breton Library Series 1. Sydney: Cape Breton UP, 2008. Print. ---. "Famous American Whines." Rev. of “Fame in the Twentieth Century,” by Clive James and Rev. of “The Culture of Complaint: the Fraying of America,” by Robert Hughes. The Antigonish Review Vol. 97 (Spring 1994) pp. 115-27. Print. ---. "Finn In Shabby Digs: Myth And The Reductionist Process In At Swim Two Birds." The The Antigonish Review 89 (1992): 147-53. MLA International Bibliography. Web. 9 Jul. 2015. ---. The forgotten world of R.J. MacSween: a life. Sydney. : Cape Breton University Press, 2007. Print. ---. Frankfurt to Dubrovnik: an interview with Rudolph Siebert. The Nashwaak Review Vol. 1 (Fall 1994) pp. 69-90. Print. ---. From Ingonish out: new and selected poetry. Wreck Cove: Breton Books, 2011. Print. ---. "John McGahern's Amongst Women: The Autumn of the Patriarch." The Nashwaak Review Vol. 1 (Fall 1994) pp. 44-58. Print. ---. “Land War.” The Men’s Breakfast. Wreck Cove: Breton Books, 2011. Print. ---. Maritime union: a political tale. Fredericton: Non-Entity Press, 1992. Print. ---. The Molly poems & Highland elegies. Wreck Cove: Breton Books, 2005. Print. ---. "Motorcycle Elegy." Antigonish Review 149 (2007): 127. Print. ---. Personal interview. Fredericton, NB. 12 October 2012. ---. "Remembering Yeats: An Interview With Francis Stuart." The Antigonish Review 71-72 (1987): 57-62. MLA International Bibliography. Web. 9 Jul. 2015. ---. "Riding The Paradigm From Joyce To Cronenberg; Or, Art, Culture And Politics In A Millennial Mood." The Antigonish Review 114 (1998): 151-69. MLA International Bibliography. Web. 9 Jul. 2015. ---. "Song And Suffering: A Survey Of The Literature Of The Northern Irish Conflict, 1969-89." The Antigonish Review 80 (1990): 145-61. MLA International Bibliography. Web. 9 Jul. 2015. ---. "South by South West." Rev. of In the Spirit of the Times and Islands, by Ken Norris; Islands Lovelier Than a Vision, by Cyril Dabydeen. Journal of Canadian Poetry Vol. 3, 1988. Print. ---. Wake of the Aspy: A Novel of Northern Cape Breton. Wreck Cove: Breton Books, 2012. Print. ---. "Writers And Politics: Ezra Pound Back In The Dock." The Antigonish Review 93-94 (1993): 47-55. MLA International Bibliography. Web. 9 Jul. 2015. "Biography." St. Thomas University English Language and Literature. N.p., n.d. Web. 28 Feb. 2013. Brennan, Patrick. “Always Challenging the Status Quo.” The Aquinian. 14 Feb. 2012. Print. Caplan, Ronald. The men's breakfast: 19 new stories from Cape Breton Island. Wreck Cove: Breton Books, 2011. Print. "Donovan CV." St. Thomas University. N.p., n.d. Web. 21 Feb. 2013. Thomas, Hilda L. Rev. of Maritime Union: A Political Tale, by Stewart L. Donovan. Canadian Literature 141 (1994): 166-7. Print. Tremblay, Tony. “Remembering Rural Maritime Catholicism & Other Orthodoxies.” Rev. of The Forgotten World of R.J. MacSween: A Life, by Stewart Donovan. The Antigonish Review 155 (Autumn 2008): 105-10. Print.